Compare hot water systems from Rheem, Rinnai, Bosch, Dux and AquaMax. Systems are reviewed on their effectiveness, reliability, quietness, ease of use, after sales service/warranty, value for money & overall customer satisfaction. In the second year of our customer ratings for hot water systems, Rheem leads the way from Rinnai, Bosch, Dux and AquaMax, scoring five-star reviews on effectiveness, reliability, quietness, ease of use, and overall satisfaction in 2018. Rheem replaces Rinnai at the top of the table. You might think that all hot water systems are basically the same – after all, they all do more or less the same thing, right? 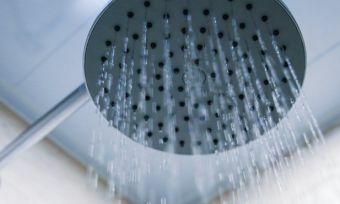 Well, they certainly all heat up your water so you can enjoy nice, long showers at the end of a hot day – but how they go about doing it, plus how reliably they do it, and how much they cost to do it, can vary greatly. Finding the best water system for your home is no easy task. You first need to understand what different types of systems are available, get to grips with their ongoing running costs, and find a product that meets your needs and budget. 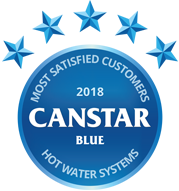 To help you on the road to a reliable and cost-effective water system, Canstar Blue has produced this guide. In it, we review the types of hot water systems available in Australia, compare ongoing running costs, and find out which brands are rated best on factors like effectiveness, reliability, ease of use, and value for money. To produce our customer satisfaction ratings for 2018, we’ve surveyed hundreds of households across Australia – finding out which type of system they use, how much they paid for it, and how they rate their brand of choice across seven key variables. The idea is to give you the information you need to make an informed decision before you go out and buy your next hot water system. Finding out what other Aussies think of the rated brands is a great place to start. So, households that ‘install a Rheem’ are the most satisfied this year – who’d have thought? The company was rated five stars across most research categories, and replaces Rinnai at the top of the table. Rinnai and Bosch received four stars overall, with Dux and AquaMax on three stars. It should be noted that Rinnai still earned top marks on value, while joining Rheem on five stars in regards to reliability. Now we know which brands are rated highest, let’s dive into detail about the types of hot water systems available in Australia, what they are likely to cost you upfront, and how much they could add to your ongoing energy bills. The humble hot water system might seem like an unlikely culprit for large energy bills – but did you know that the cost of heating water can make up 30% of an average Australian household’s total electricity bill? Your system may be costing you big time – depending on the type you have – so we’ve compared electric, gas, solar, and heat pump hot water systems to help you find the best and most cost-effective water heating solution for your home. Basically, hot water systems come in two designs – ‘storage’ and ‘continuous flow’ (also known as instantaneous). 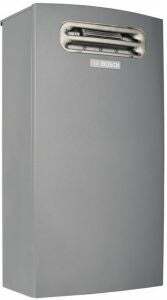 A storage hot water system heats and maintains warm water in a tank until it is ready to use. 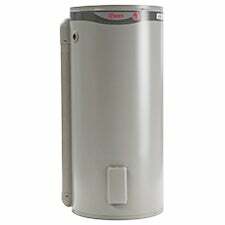 This provides instant hot water, but is limited by storage capacity. Continuous hot water systems, on the other hand, rapidly heat up an unlimited amount of water when you need it. While it does take a few moments to heat up, an instantaneous system won’t waste energy by keeping water warm when no one is using it. You’ll find these two types of systems available in electric, gas, solar, and heat pump varieties – each with pros and cons to their energy source. The example pictures are courtesy of Rheem. Electric storage hot water systems heat water using an electric-powered element which sits at the base of the water tank. Continuous systems work in a similar way, but instead the element is coiled around the pipes to rapidly heat the water inside. Electric hot water systems have relatively low upfront costs, and are a reliable way to keep your water warm. The majority of large electric storage hot water systems are connected to controlled load tariffs and do the majority of their heating at off-peak periods to help reduce your energy bills. Electrical hot water systems are almost always the most expensive long-term hot water solution if used on a continuous day rate tariff. The electricity that powers them may also have high greenhouse gas emissions if the power does not come from renewable sources such as solar PV, wind, or from a hydro scheme. Storage gas water systems use a gas burner to continuously heat and maintain water in a tank at 60°C. Continuous flow systems also use a burner which ignites only when the water is needed. Gas hot water systems will produce few greenhouse gas emissions. Additionally, depending on your location, gas systems are usually considered to have lower usage rates compared to electricity, making them a more cost-effective option long term. Gas hot water systems are only really viable if you’re connected to mains gas, as using LPG bottles is more expensive, and creates the risk of running out of hot water. Gas hot water systems must be located outside, or have an exhaust vent if they are located inside. Solar hot water systems are storage units which generate heat from the sun using panels installed on the roof of the property. This heat is used to warm and maintain the water in your tank. When there is insufficient solar generation, systems can be boosted to a temperature of 60°C by either electric or natural gas boosters. Solar water systems can be split-system (like the one pictured) or combined. Solar hot water systems could reduce your hot water system’s energy consumption by as much as 90%. Being that hot water systems are notoriously energy hungry, this could mean significant savings on your power bills. Solar hot water systems are also the most environmentally-friendly option. Accredited solar systems might also be eligible for STC rebates from the federal government through the Clean Energy Regulator, as well as other state-specific rebate schemes. Solar hot water systems have the greatest upfront costs – anywhere from $2,000 to $7,000 after rebates, depending on the system size and excluding any installation costs. Some solar hot water systems may also be unreliable on overcast days, although most models will kick-over to natural gas or electric back-up heating if the water isn’t hot enough. Heat pumps include a fan that draws warm air into the system, which is transferred to the water storage tank. It’s essentially a reverse fridge. Rather than pumping out hot air to keep your fridge cool, it pumps hot air in to heat the water up. Heat pumps are one of the most energy-efficient hot water solutions. While they need electricity to run, they are roughly three times more efficient than traditional electric water heaters. Heat pumps are only really suitable in warm environments. While some heat pumps come with boosters, if the climate isn’t suitable, there is little benefit in spending the extra money on a heat pump. They are also considered unreliable and servicing costs are generally expensive. Which type of hot water system is most popular? A further 1% were unsure which type of system they have. Annual costs based on Melbourne household with average daily hot water use. For gas instantaneous and gas boosted solar water heaters, running costs take electricity use into account. Electricity tariffs based on general usage rate of 31.9 c/kWh, and off-peak rate of 20.9 c/kWh. Natural gas tariffs based on typical declining block structure for house with gas heating, water heating and cooking. Natural gas tariffs used for gas storage and instantaneous water heaters: 2.49 c/MJ; 2.46 c/MJ. For solar-natural gas boost, tariff of 2.36 c/MJ has been used. LPG tariff based on bulk supply (210kg cylinder) in Melbourne area: $1 per litre or 4.0 c/MJ. Energy tariffs do not include the annual supply charge or cylinder rental fee. Solar and heat pump water heaters efficiency levels are based on the following STC allocations in Zone 4 (southern Victoria): solar gas boosted – standard (29), high efficiency (33); electric boosted solar – standard (27), high efficiency (31); heat pump – standard (28), high efficiency (35). What’s the best type of hot water system? If you’re connected to mains gas and your home receives at least moderate amounts of sunlight, then the most ideal system for you could be a solar storage hot water system with gas boosters. If your home doesn’t get much sunlight, the next best thing in terms of running costs would likely be a continuous flow gas system. However, there is no ‘one size fits all’ solution when it comes to cutting your energy bills. It could be said that you should avoid electric hot water systems if possible, particularly continuous flow models, as they have high emissions and are often considered to be the most expensive option. But the cheapest hot water system for you will come down to personal circumstances. Let’s now get an overview of the five brands in our 2018 review, with details about the types of hot water systems they offer. 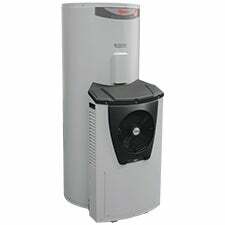 Rheem produces all kinds of water heaters, including electric, gas, heat pump, and solar storage, as well as gas continuous flow systems. Rheem’s hot water systems are deliberately designed to cater for a variety of needs. It has steel systems for added durability, compact systems for those tight on space, plus extra-large models, and plenty more. A small electric Rheem storage system will usually set you back at least $500, with larger models costing up to about $1,500. Continuous flow systems start around $800. 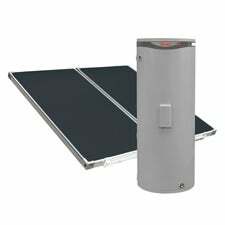 Solar hot water with Rheem can cost anywhere between $1,200 and $3,000. 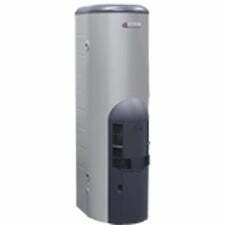 Rinnai produces two lines of continuous gas water heater: Infinity and Hotflo. It also produces a range of domestic and commercial solar, electric, gas and heat pump storage systems, along with natural gas boosters and other accessories to manage hot water usage, provide added security, or improve the aesthetics of your system. Prices for a storage system start at around $500, while continuous flow systems will generally set you back at least $1,000. If you’re considering a Rinnai solar hot water system however, expect to pay at least $2,000. While Bosch does produce electric and heat pump storage systems, what actually sets the brand apart from others is its range of gas continuous hot water systems, with its patented ‘Optiflow’ technology. Bosch claims its Optiflow hot water systems provide more responsive hot water, and include Bluetooth connectivity so users can track usage data and adjust the water temperature from their phone. Bosch Optiflow hot water systems start at a reasonable price of about $800. Dux has a huge range of hot water systems, including heat pump, electric, gas, and solar boosted storage systems, as well as gas continuous flow water heaters. Dux’s storage systems come in a plethora of sizes, between 25L and 400L. But if continuous flow is more your style, you might be interested to know that Dux systems have a 6.7-star energy-efficiency rating – higher than most similar models on the market. Small Dux electric storage systems start at around $350, while its continuous flow systems will set you back at least $800. Solar water heating should cost a couple thousand, depending on the size of the system. AquaMax produces gas storage, electric storage and gas continuous flow hot water systems. The company also has a ‘premium’ range of stainless steel storage systems which it claims are lighter, more energy-efficient and easier to maintain than regular models. AquaMax prices start from as low as $400 for its smallest electric storage system. The continuous flow systems are considerably more expensive, however, priced around the $1,200 mark. Hot water is a necessity, meaning it’s somewhat of an inevitable cost. That said, there are ways to minimise your hot water system’s impact on your energy bills. One of the easiest ways households with electric storage systems can save on hot water is with a controlled load tariff. Sometimes just referred to as a ‘dedicated circuit’ or ‘two-rate’ tariff, it’s an arrangement where the hot water system is metered separately to the rest of the house and electricity is charged at a lower rate. Electricity is only supplied to the hot water system during off-peak usage hours – usually from 11pm to 7am depending on the electricity network. During these hours, the hot water system will heat the water and store it for use later on. Most hot water systems are installed with a dedicated meter, meaning energy retailers will often put you on a controlled load tariff by default. If, for whatever reason, you don’t have a controlled load tariff, you stand to save big by making the switch. Canstar Blue surveyed 3,000 Australian adults across a range of categories to measure and track customer satisfaction, via ISO 26362 accredited research panels managed by Qualtrics. 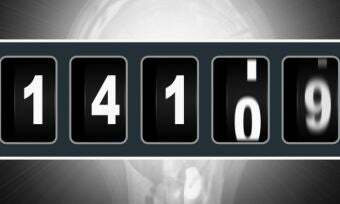 The outcomes reported are the results from customers within the survey group who have purchased a new hot water heater in the last 5 years – in this case, 394 people. 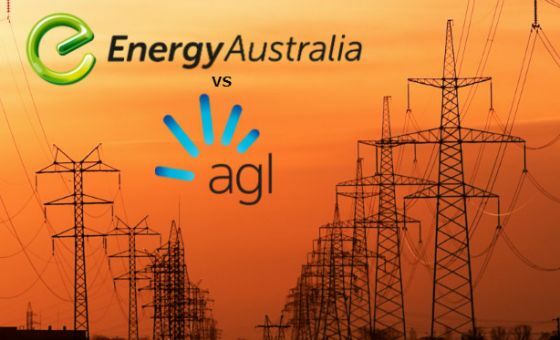 EnergyAustralia has become a major challenger in Australia’s energy industry. 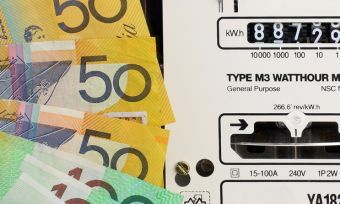 But is EnergyAustralia cheaper than AGL? Find out with our cost comparison. 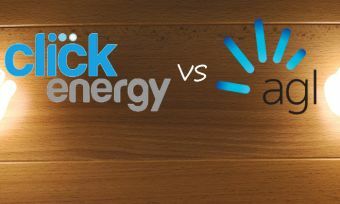 Which electricity company is cheaper – AGL or Click Energy? Canstar Blue compares their electricity plans, prices and offers.